Born in Beverly, West Virginia, Constance Colleen “Connie” Ware was the first of three children of Hallie Mae (Smith) and James “Ross” Ware. She and her parents moved to one of the “Homestead” houses in Dailey, West Virginia, that had been built during the Roosevelt era; then back to Beverly where she attended grade and junior high school. She subsequently graduated from Elkins High School. Using her training in Business, she worked for Allegheny Airlines (now US Airways), Raytheon Corporation and Pitney Bowes Corporation. She then left the corporate world of marketing and enjoyed a second profession as a successful Realtor for 23 years. For some 32 years, Connie has been well known for her activism in the communities where she has lived, serving in various civic organizations where she became well-known for her ability as a spokesperson. As a result she was instrumental in many zoning, planning and transportation decisions in both Fairfax and Loudoun Counties in Virginia. She developed a great love for music at an early age and began playing piano at church at the age of 12. She served as church organist for over 30 years, and other positions such as music director and choir director. In addition to music she has served as coordinator and decorator for many weddings and receptions and loves to use her training in interior decorating and landscape design in her homes. 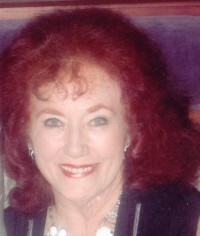 Her husband “Gene” died in 1996 and after 14 years of being a widow, Connie married her present husband, Anthony “Tony” Jenkins. They reside in Locust Grove and Sterling, Virginia.